The S&P/TSX Composite was down -6.3% in October, the worst monthly decline since September 2011. The TSX is now down -5.0% for 2018. In the US, the S&P500 was down -6.8% in October, also its worst monthly return since September 2011. Unlike the TSX, the S&P500 remained positive for 2018, up +3.0%. The widely quoted Russell 2000 (an index of US small cap stocks) was down -10.9% and the Nasdaq 100 was down -9.2%. European stocks were down -5.5%, German Stocks were down -6.5%, and British stocks were down -5.1%. All remain in negative territory for 2018. Japanese stocks were also down (-9.1%) as were emerging market stocks at -7.8%. REITs were down -1.7%, the worst month in over a year. Bonds were down across the board. The broad index of Canadian bonds, FTSE TMX Universe Bond Index, was down -0.6%, and the FTSE TMX Short Term Bond Index was down -0.1%. Investment grade US bonds, as measured by the Merrill Lynch indexes, were also down. US and Canadian high yield bonds were down as were emerging market bonds. Oil was down a whopping -11.1%, its worst month since July 2016. Gold was the only thing that we track that was up at +1.5%. The broad Bloomberg Commodity Index was down -2.4%. We don’t talk about hedge funds very often, but even the most followed Credit Suisse Hedge Fund Index was down -4.0% for October, its worst month since 2008. Notably all of the of various hedge fund strategy indexes were down, a rare occurrence. The Canadian Dollar weakened by -1.5% against the US Dollar and strengthened +1.0% against the Euro. 2018 has been a difficult year for investors, with the exception of those only investing in US stocks. We look at the performance of many different asset classes every week and the US regularly stood out the lone bright spot, with lots of red everywhere else. 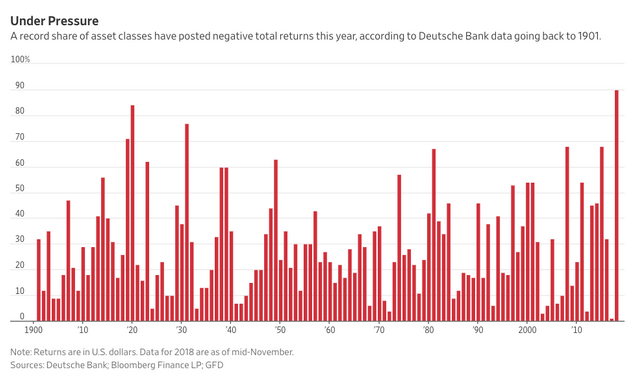 A recent report from Deutsche Bank caught our eye: 90% of the 70 asset classes they track are negative so far in 2018, which is a record going back to 1901! Interestingly, it seems that 2017 saw the fewest asset classes posting negative since 1901. So perhaps 2018 is just a reversion to the mean (or average, if you prefer). After seeing that, it probably won’t be a surprise that the ModernAdvisor portfolios haven’t done much this year: only SRI Risk Level 8 was up more than +1% through September 30. We use seven different asset classes in the ModernAdvisor portfolios, and five of the seven asset classes were actually positive. Unfortunately, the two asset classes that were negative offset most of the gains from the other five. 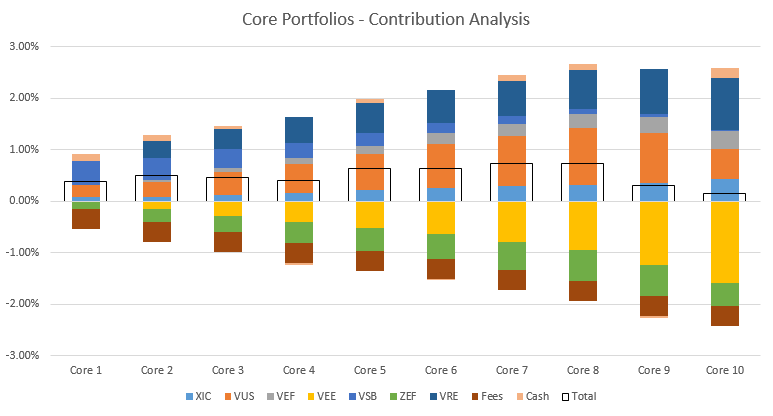 In the Core portfolios, US stocks (VUS) were the largest positive contributor to performance, followed by REITs (VRE). 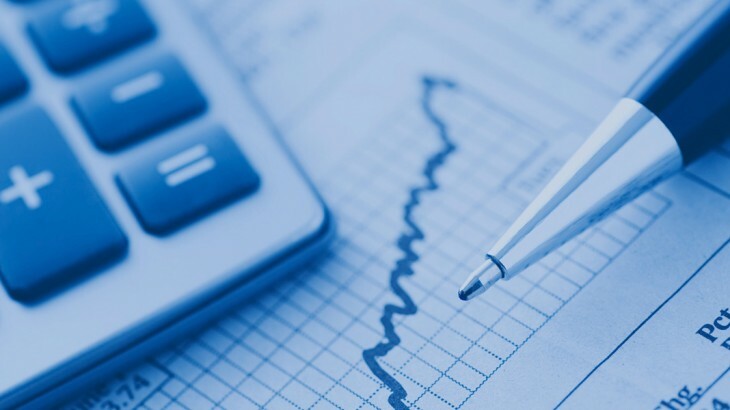 Canadian stocks (XIC) and international developed market stocks (VEF) also contributed positively, as did Canadian bonds (VSB) particularly in the lower risk portfolios. Emerging market stocks (VEE) and bonds (ZEF) were the two asset classes that have contributed negatively to performance in 2018. 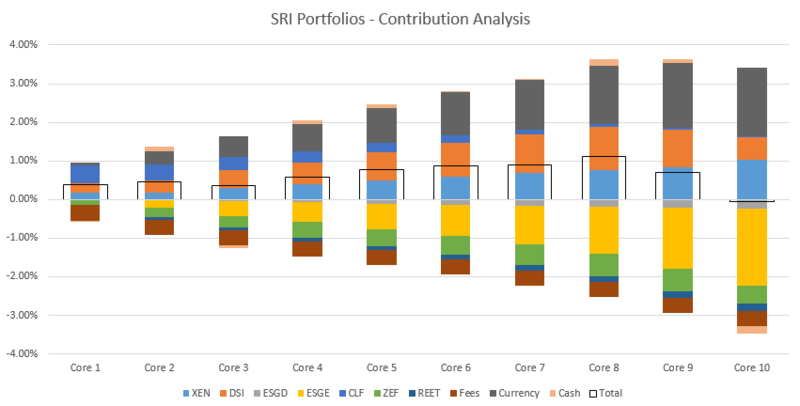 In the SRI portfolios, US stocks (DSI) were the largest positive contributor to performance. Having four ETFs priced in US Dollars helped contribute positively performance as the Canadian Dollar declined against the US Dollar. 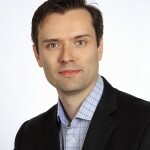 Canadian stocks (XEN) also contributed positively as did Canadian bonds (CLF) in the lower risk portfolios. Emerging market stocks (ESGE) and bonds (ZEF) were the two asset classes that were the largest negative contributors to performance in 2018. Global REITs (REET), and international developed market stocks (ESGD) also contributed negatively. Canada’s unemployment rate ticked down -0.1% to 5.9% in September. 80,200 part-time jobs were added while 16,900 full time jobs were lost. Housing prices across Canada wereflat in September with only 5 of the 11 major markets posting gains. The largest gainers were Winnipeg (+1.1%), and Montreal and Victoria both at +0.5%. Edmonton and Vancouver were flat, while Quebec City was the largest decliner at -0.6%. The level of new housing starts declined -5.5% in September to 189K, while the value of building permits remained steady at $8.1 billion in August. The inflation rate for September was -0.4%, and +2.2% on an annual basis, well below expectations. All eight components of the inflation calculation rose, with transportation the largest contributor. Core inflation which excludes more variable items such as gasoline, natural gas, fruit & vegetables and mortgage interest was+1.5%. Retail sales were down -0.1% in August; compared to a year ago, retail sales were up +3.6%. Sales were down at gas stations, clothing stores, and building & garden supply stores. Meanwhile, car dealers saw their first gain in three months. Canada’s GDP growth was up +0.1% for August. Growth was concentrated in oil & gas, and the finance & insurance sectors, which more than offset the declines seen in 12 of the 20 industrial sectors. As was widely expected, the Bank of Canada raised its benchmark interest rate by 0.25% to 1.75% at its October 24th meeting. The Bank of Canada noted that households are adjusting well to higher interest rates while also noting that more rate hikes will be needed as the economy is expected to remain strong.